Does Russia have a Grand Strategy? Is President Putin a strategist or just a tactician, making things up from day to day? Strategy is about the creation of power, and with Russia increasingly assertive on the world stage, at war in Syria and challenging the Euro-Atlantic community, and UK-Russia relations at another low, it is essential to understand what Russian power in the 21st Century means. 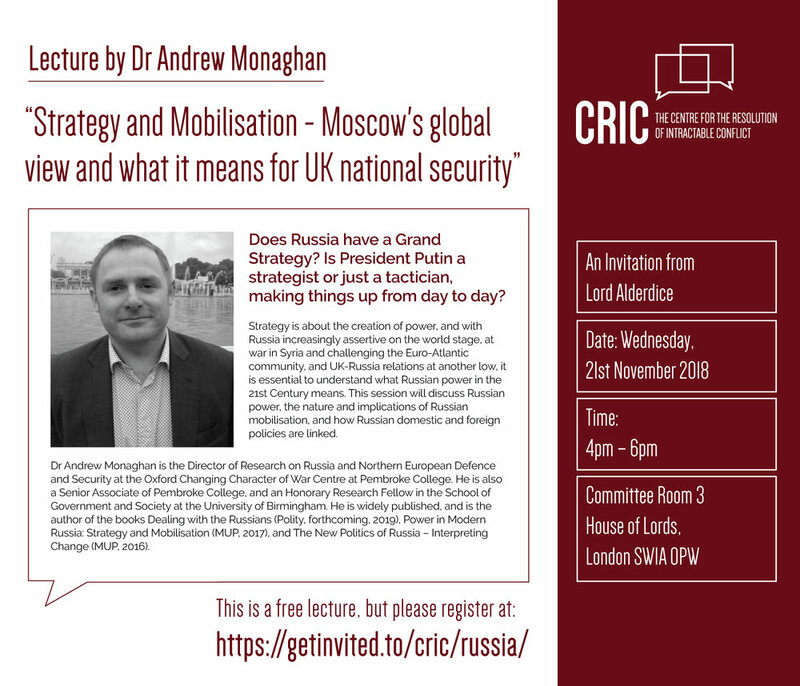 This session will discuss Russian power, the nature and implications of Russian mobilisation, and how Russian domestic and foreign policies are linked. Andrew will also be appearing at the Chichester Speakers Festival on Friday 16th November. He will speak with LTG (ret) Ben Hodges on the question “What does Russia’s resurgence mean for Euro-Atlantic security?” Tickets are available to purchase online.